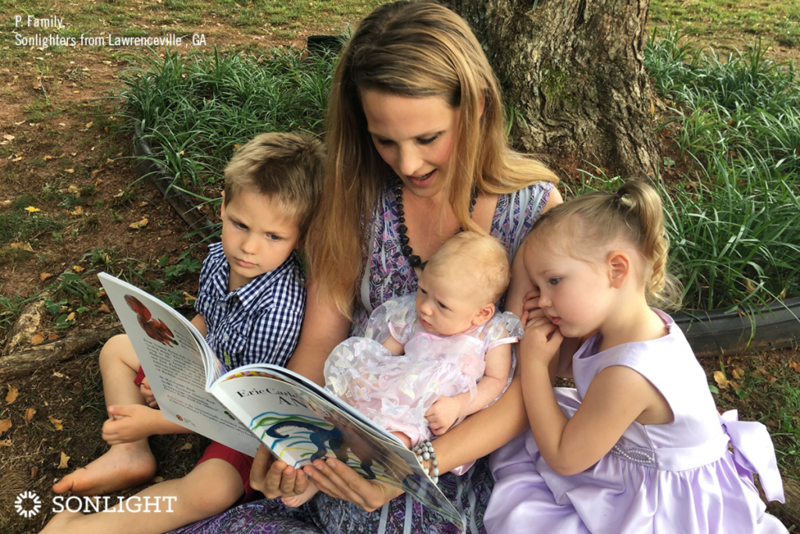 I read this article and wanted to share it with you: Do I need a degree to homeschool? 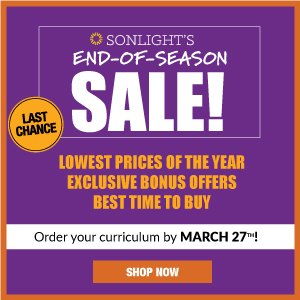 https://blog.sonlight.com/need-degree-homeschool.html. So many moms and dads come to homeschooling with reluctance (like I did) or with insecurities about their abilities to teach their children. 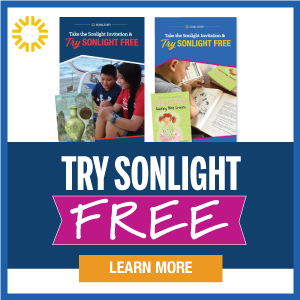 I want to let you know right from the start, you are the best person to give your children what they need. 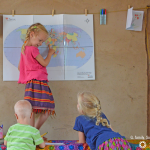 I want to shout from the rooftops: "Yes, you can homeschool! You can do it well, and you can enjoy learning together!" 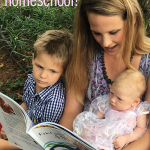 One of the practical questions I hear a lot from people who are considering homeschooling is this: Do I need a degree to homeschool? Sometimes they are asking about a teaching certificate, sometimes a college degree, or perhaps they wonder whether a high school diploma is required. The short answer is no. No teaching certificate or college degree is required for homeschooling in any state in the U.S.
Eleven states do mandate a high school diploma (or GED with varying levels of associated requirements if you don’t have a high school diploma). You can check out your state's specific laws here. 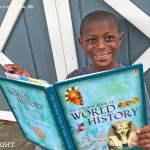 Who can give my child the best education? Beyond the legal requirements, what some parents are actually wondering is "Will I short-change my kids if I'm not a trained teacher? Maybe the professionals could do this better...." That's an honest question to ask if you want the best for your kids. Let's take a quick look at that question from both a statistical perspective and from a heart angle. Here's an interesting statistic from The Home School Legal Defense Association that shows the standardized test performance of children from families where at least one parent has a teaching certification. Those children performed in the 86th percentile. Great! But in the households where neither parent held a teaching certificate, the students performed in the 87th percentile. Even better! 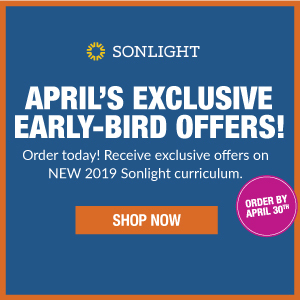 So, regardless of teaching certificate or degree, it seems that there’s another factor that’s more important than your technical training for teaching. 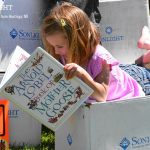 Study after study backs up this statement: What seems to make the most difference in academic success is a robust home library and time spent talking, reading, and learning with your child. 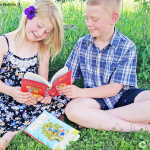 Homeschooling is the ultimate tutor experience. Let me preface this statement with my high respect for school teachers and my thankfulness for all they do amidst challenging circumstances. I don't want to belittle them in any way when I say that a loving, committed, determined parent with a plan and some great resources can have an impact on a child’s life like no one else. It’s just a unique scenario. It’s hard to beat one-on-one attention. For example, parents whose children are struggling often enlist a tutor. 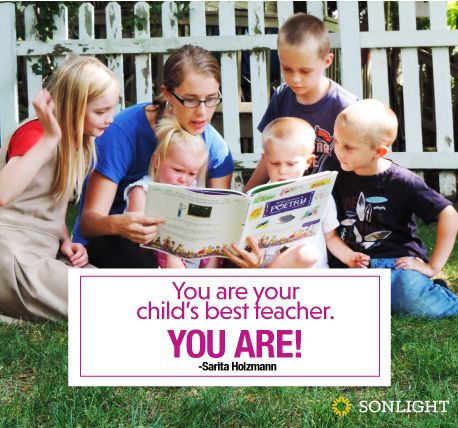 Homeschooling is the ultimate tutor experience. Add in what the parent knows about the child, hopes for that child, and the never-giving-up kind of love that’s inherent in moms and dads? Magic can happen. Own it! Your gifts were chosen for your kids. Every person has unique talents, skills, personality, and love to share with their children. God had your kids in mind for you. You are the best teacher for the job. You know your children better than anyone, love them more than anyone, and will do whatever it takes to help them thrive. Go and flourish! One of my great passions is to empower parents to teach their children well and to enjoy the process. 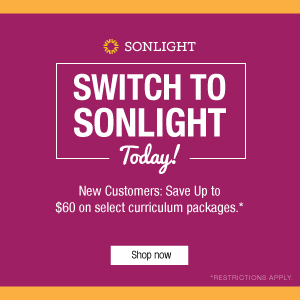 Please know we at Sonlight are here to support you in every way possible, whether through curriculum guides that give you a solid 36-week plan for your school year and offer you the best books, or through emotional support and troubleshooting through our social media groups, Sonlight Forums, newsletters, and Advisors. My team and I pray for you and other customers each morning. We do that because we love you and think your work matters. 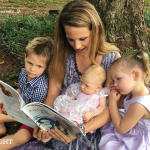 I truly believe that your investment in educating, training, and loving your children is a world-changing endeavor that has eternal significance. God will give you what you need to do it faithfully. 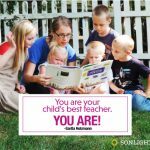 I have a teaching degree and often find that it seems to hamper me in homeschooling rather than help me. Schooling and learning are not always the same thing but they are forever linked in my mind and I find it is so hard to break the habit of making our days look like school.